Who’s got time to read every single interesting thing on the web? You could be reading for hours! 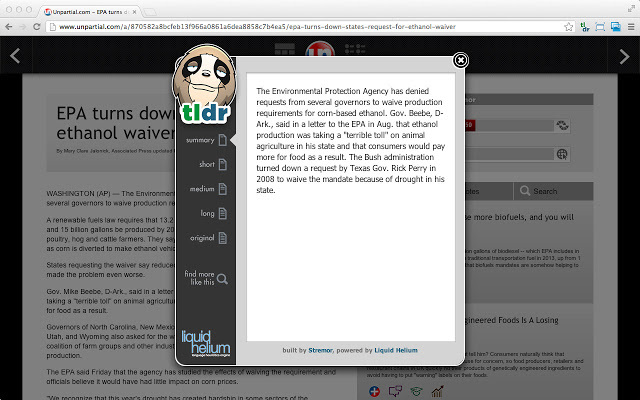 With tl;dr you can read human-written summaries of the web page or post you’re looking at. This saves tons of time and energy. Keep up to date with the latest trends and data. If you’ve got the time you can add your own summary. Don’t you hate opening new tabs to access all of your favourite Google apps? Now you don’t have to thanks to “Black Menu for Google” Chrome extension! Black Menu for Google gives you quick access to all your favourite Google services in one convenient drop-down menu. This is the easiest way to access the Google Universe. If you’re a research fiend like me, then you probably have billions of tabs open in your Google Chrome Web Browser. Use OneTab to collapse all your open tabs into one concise page and save up to 95% memory and reduce tab clutter. Speaking of open tabs. Opening tabs in your Google Chrome browser doesn’t have to be boring. Thanks to this excellent Google Chrome Extension, every time you open a tab, a Tabby Cat pops up! Sometimes you’re lucky and get a present in the goodie bag like a pair of glasses or a hat. Opening tabs has never been so cute! I take a lot of screenshots for the blog, or to send to my colleagues to illustrate a point. Taking a screenshot is one thing, but if you have to add some text or a couple of arrows to highlight a point, you’re starting to look at opening multiple programmes for a relatively small task. Marker lets you take screenshots, but it does more than the usual screen grab. You can also add annotations and even emoticons and then send them directly through to Slack, Trello, Github and more. Huge time saver! 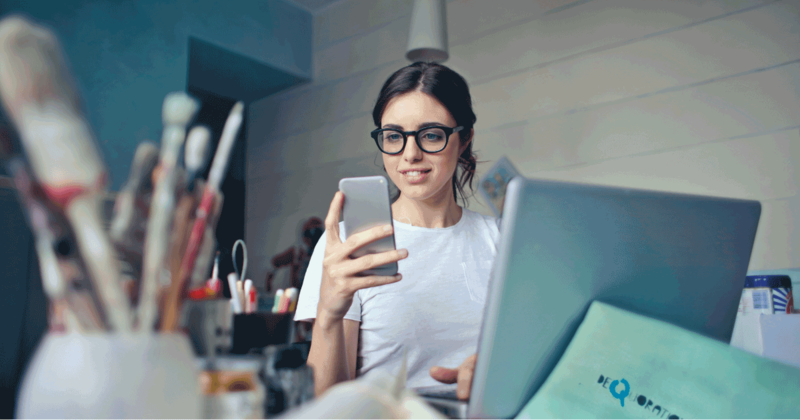 This is for all you marketing fans out there, a Google Chrome app that gives you insight on how your customers are experiencing your web pages. You no longer have to load any other tools, just have this baby running in the background and let it do the work for you. You can do A/B testing - create two designs and see which one converts, Split URL testing; Heatmap which shows you where your “hot spots” are on your web page, and there’s a reporting function so you can show your boss the hard stats. This email management app is absolutely one of my favorite apps, not only can you track your emails to see when someone opened them, but you can pretend to be James Bond for a second, by hitting the “self-destruct” button so your super secret messages don’t fall into the wrong hands. If you’re too busy to deal with your emails, you can set a time for them to reappear in your inbox at a later date. Not only that, there is the bonus “Save and Share” function, where Mail2Cloud will automatically save your emails, as well as any attachments, as PDFs and put them in a specified folder in cloud storage where you can choose who can have access to the archive. This is great for saving space, we all know Gmail looks huge but it adds up after awhile! If you’re on an important deadline, or you’re just tired of the notifications from your social media distracting you, get this app. 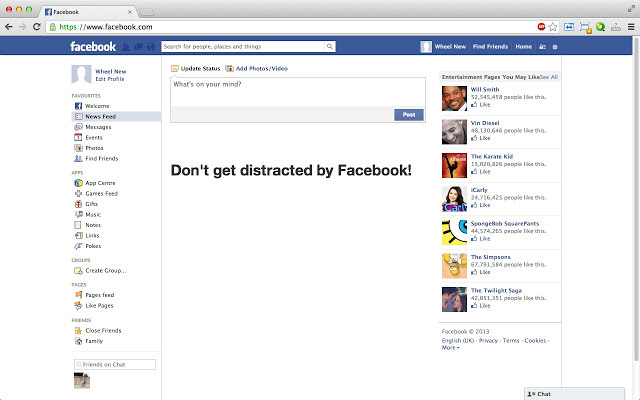 Kill News Feed replaces your social media news feed with a friendly reminder to get back to work. It’s simple and effective. Don’t you hate it when you’ve done a load of research on the web, meticulously bookmarking each page, and then later on you hop on to your work computer and you realize you don’t have access to your bookmarks? No more! With this app you can have instant access to all of your bookmarks on one platform. You can even create bookmark boards to share with your team or publish on social networks. We all know we should be super-careful about passwords. We should never repeat our passwords and never use obvious things like our partner’s name and birthday. But admit it, with the five billion apps you’ve got going on, you’re just using one or two variations on the same password you’ve had for years, am I right? Fret no longer that hackers will be after your info! Lastpass generates those impossible-to-remember-passwords that keep your accounts safe. It then stores the encrypted passwords in a cloud which you can access from any device. You only need to remember one password, the master pass for LastPass.